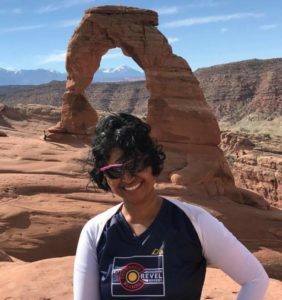 Even before I signed up for Augusta 70.3 Half Ironman Triathlon, I loved swimming and I’ve always turned to it when I’ve not been able to run. My problem is – I am very very very slow. Nothing surprising here. Since I’m slow in all 3 sports! But swimming is said to be technique and form first, speed/strength second. Unfortunately, I don’t have it in my schedule right now to be able to go get much needed private lessons, so instead, I got Mr. FauxTriathlete to take a small video of me that I could use for feedback. I’ve got some great feedback and the following are my main takeaways/. 1. 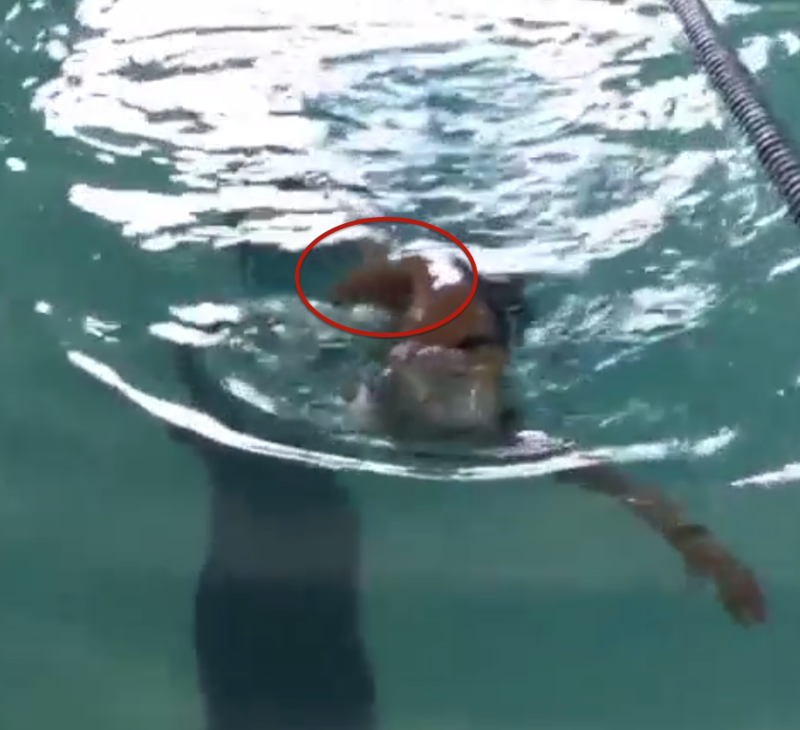 Hand is entering the water too wide. Hand should enter the water with thumb in line with ear. Biceps need to get up near your ears, and extend the shoulders forward. 2. I’m not finishing the stroke. My stroke stops when I put my arm in the water. I need to push the water back towards my hip to propel myself. Hand is already out before finishing the stroke. 3. The glide could be longer/streamlining better body position. 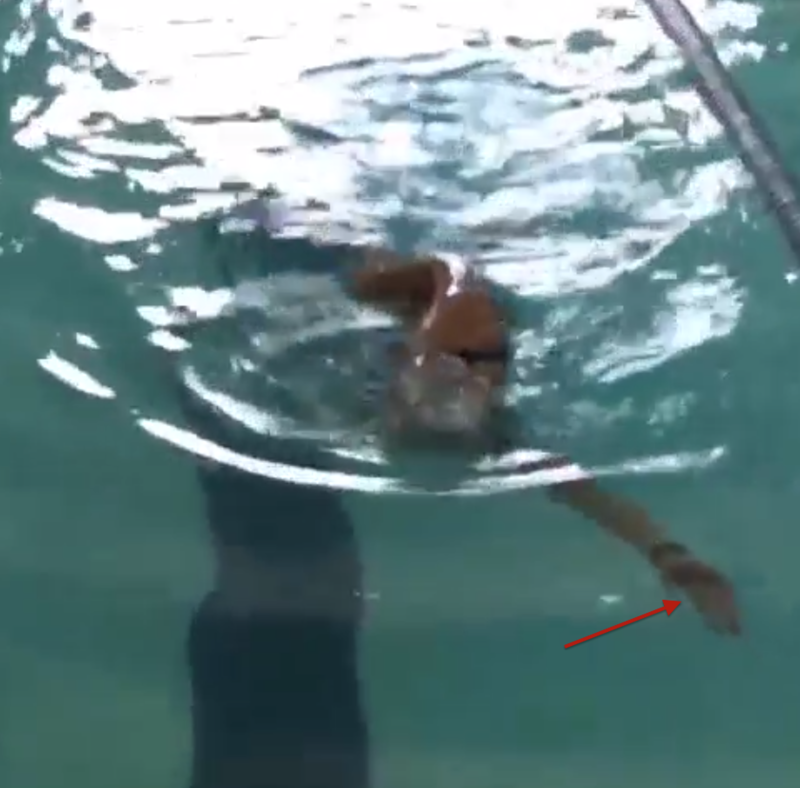 Front arm starting stroke too early instead of gliding further. 4. I’m taking a tad second too long to breathe, especially on one side. 5. Body position can be improved. Since the first three are sort of inter-related, I am choosing to focus on that right now. And I am on lookout for drills for that. So I know what I’ll be doing at the pool starting this week! 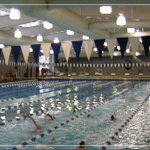 The best way to learn swim techniques is through a coach or a master’s swim group. 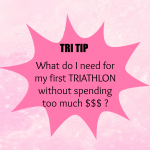 But if you are not able to get to either, videotaping your swim and then comparing it with good form swimming videos (you tube has an abundance), or asking a knowledgable friend to take a look is the next best option. Do you have some swim knowledge? What can you add to the above observation of my swimming form? 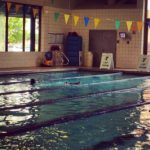 What are some of your favorite/recommended swim drills? 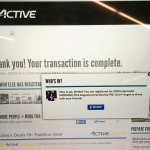 This was the post for Tri Talk Tuesday link-up hosted by Cynthia at You Signed up for What? 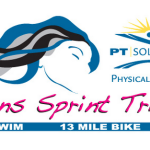 !, Courtney at The TriGirl Chronicles, and Phaedra at Blisters and Black Toenails. Smitha, I’ve seen a lot of improvement with regular swimming. I’ve been in the pool, three times a week, since early January. If you can get to a masters program, that will also be super helpful. I can also share some swim workouts with you. But, what I really wanted to say is, what a cool way to talk about how you are working on improving your swimming! 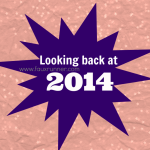 I love this blog post and how you shared the feedback you got. Very cool! Consistent swimming is definitely a big key. I have 2 swims/week on my schedule, but I try to get in an extra one when I can. I’d love to know more drills and workouts. Thanks, Sarah! I love how you’ve analyzed your stroke and found drills to work on what you need to improve upon. I don’t have a lot of time to work with a masters swim group on coach either so I will probably be doing the same thing as I look to improve my swimming. Video certainly helps. When I first started any kind of consistent swim, I was a windmill swimmer. And a video from back then shows that. A friend coach looked at it and suggested catch-up drills. You won’t believe the amount of difference just that one drill made! Sounds like you are getting great advice. “Cheek to shoulder” is the mantra I was using in open water – to remind me of the streamline form and also to protect my face in the pandemonium of open water swim starts. Also the brush hip drill – emphasize finishing your stroke. If you do with paddles you should feel your triceps burning. I like your cheek to shoulder mantra, Kelli. I am going to keep that in mind. And anything to protect my face!! I’m not even thinking of OWS starts yet! That’s awesome you got some stroke analysis. It’s always super helpful. My swim coach is going to video tape us all next week, so I’m really looking forward to it. Good luck on all your drills! Thank you! I’m looking forward to reading about your analysis too. Looking at others is so helpful in learning! Confession: I’m terrified of the water too. I cannot do the “Easy” breast stroke or swim with my head out of the water. Wait until it is open water swim time and real panic hits! But being terrified is a good motivation to overcome it. Wow really great advice! I am taking a lot of these to heart since I can use all the help I can get. Thank you for a very informative swimming post! Thank you Amanda. 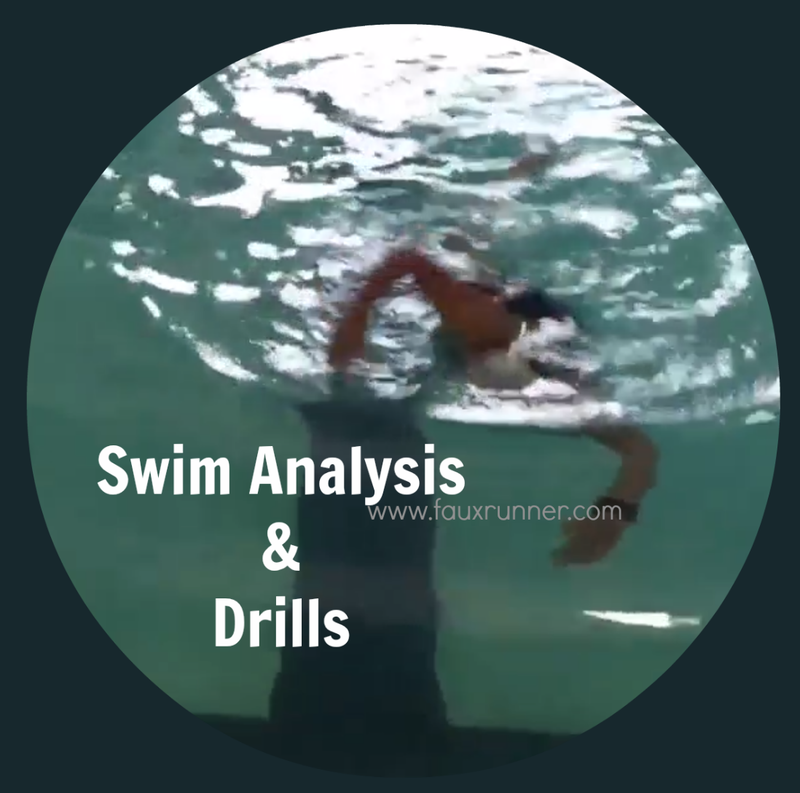 A lot of the form/drills is individual, but you can never go wrong with basic swim drills like the 3-8-3. I keep trying to remember the extend, Cristina. And then still remember it while putting everything else together. I wish I had learnt how to swim as a kid. I learnt at around 30 years for about 2 months and then only 3 years ago when I wanted to do tris. 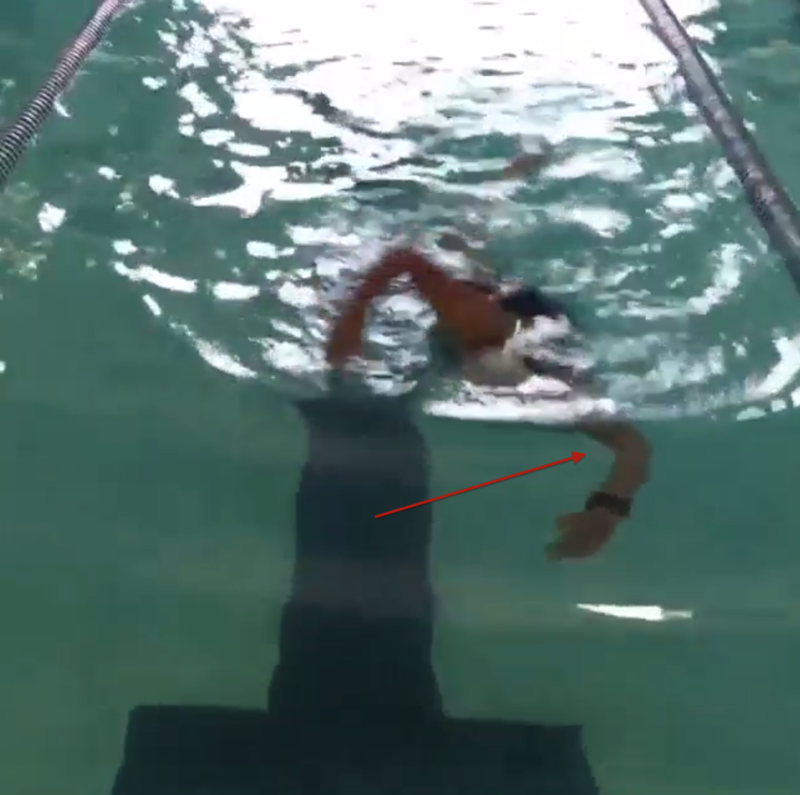 I love that you videotaped your swim and asked on Instagram – it was so neat to see your IG video and realize that I actually had something to add even though I’m not a coach or swim expert! It’s so cool to have feedback from others!!! Thank you Cynthia. Your feedback was much appreciated and helped! I’m working on one thing at a time. Hopefully the next time I do a video like this, I’ll have other things to focus on. Every little bit helps. This was SO helpful as I’m a non-swimmer just starting to work toward my first tri in June. I’ve been looking for beginner drills I can understand and these are great. Thank you!